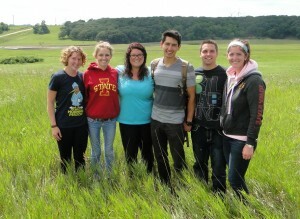 This two-week course, taught at Iowa Lakeside Laboratory on West Lake Okoboji in northwest Iowa, focuses on the relationships between population ecology and human health. Important topics that will be explored include the intersection of the ecology of organisms and human health, how humans interact with biological and physical environments in ways that promote or harm human health, and how threats to human health are assessed and monitored. Students explore their own interests through an independent project which combines their skills in population health and ecology, with direct observations of the local environment or local health data. Learn more about Iowa Lakeside Laboratory.